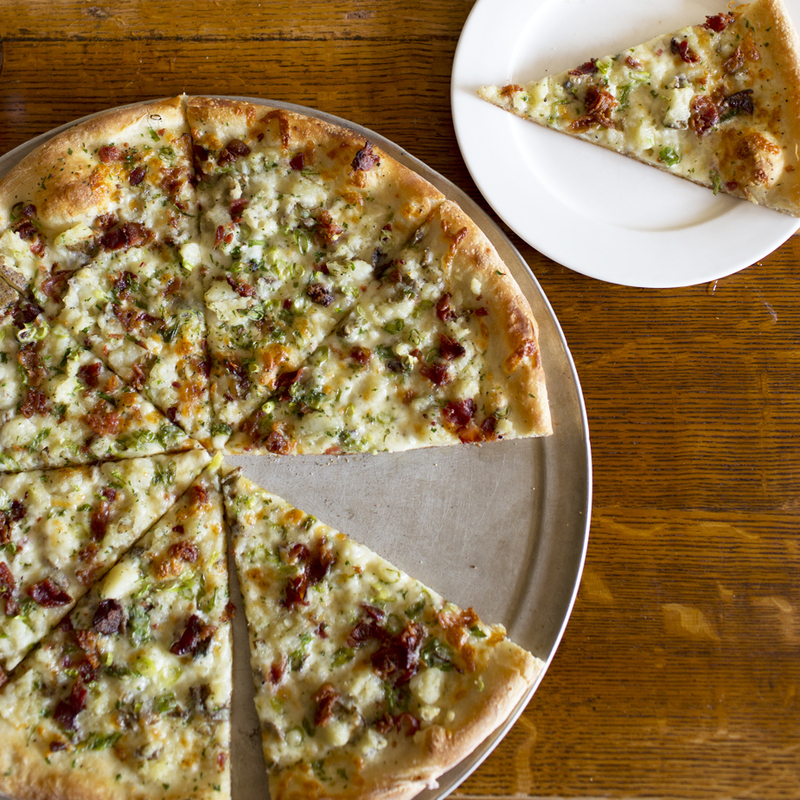 This Labor Day weekend, we’d like to share the recipe for our award-winning Mashed Potato, Bacon and Scallion pie! The pizza named one of the ‘Best Pizzas in America’ by The Food Network is not only a joy to eat, it’s a blast to make. If you’re feeling adventurous over the three-day weekend, give it a try! Share pictures of your experience with us via Facebook, Twitter, or Instagram. We’d love to see your take on this fan favorite! Stretch the pizza dough into a 16-inch circle and place on a peel that has been dusted with cornmeal. Season with the black pepper and Asiago. Break up the mashed potatoes and distribute evenly around the pizza, spreading all the way to the crust. Top with mozzarella, making sure to cover the entire pizza, and drizzle generously with cream. Top with the bacon, scallions, parsley and salt. Bake in a preheated 500 F pizza oven until golden brown. Rotate the pizza half way through for an even bake. Fill a large pot with the potatoes, enough cold water to cover, and half the salt. Cook until the larger potatoes can easily be crushed with tongs. Immediately add the potatoes to a large container with the butter, remaining salt and pepper. Mash until smooth and no large lumps remain. This entry was posted in Pizza, Uncategorized and tagged food network, labor day, mashed potatoes, masher, OTTO, Pizza, recipe by elshepherd. Bookmark the permalink.